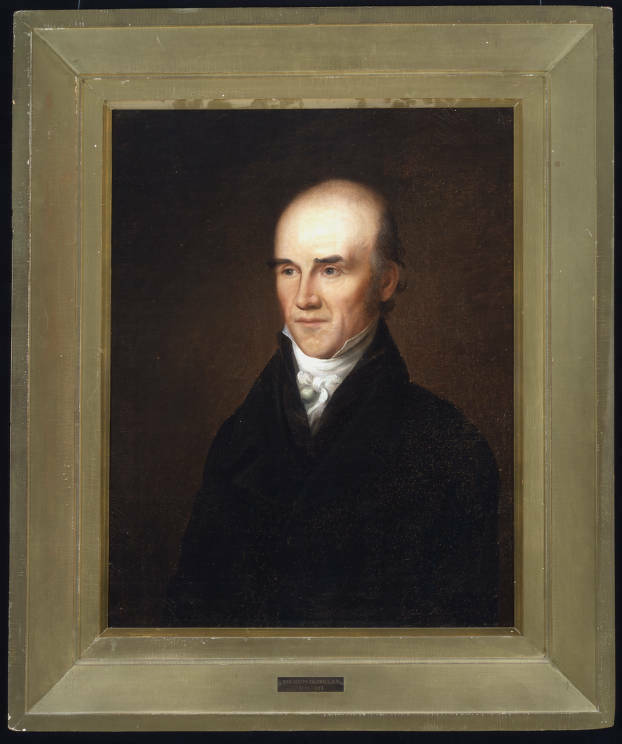 Joseph Caldwell served as university president from 1804 to 1812 and again from 1816 to 1835. He maintained strict discipline, set rigorous academic standards, and was remembered by students for his seriousness and piety. Born in New Jersey, he graduated second in his class from the College of New Jersey (now Princeton) in 1791. After teaching in New Jersey and earning a license to preach as a Presbyterian, he came to teach at Chapel Hill in 1796. The next year he assumed the post of presiding professor and then became president when the trustees changed his title. The university often faced financial problems during his tenure, which forced Caldwell to lobby for additional funds and raise money from private sources. A mathematician, he preferred scholarly work to the presidency and published a textbook on geometry in 1822.